Tercoo® is an excellent tool for the maintenance of your boat or ship: removing old paint, rust, tar and build up of contaminants. Tercoo® is an excellent tool for repairing and/or maintenance of offshore installations working with water and/or vapour-proof coatings. Tercoo® is an excellent tool for cleaning weldingseams, even in small spaces because little or no sparks are produced. Tercoo® is an excellent tool for cleaning concrete and rubber where chlorine compounds are used. 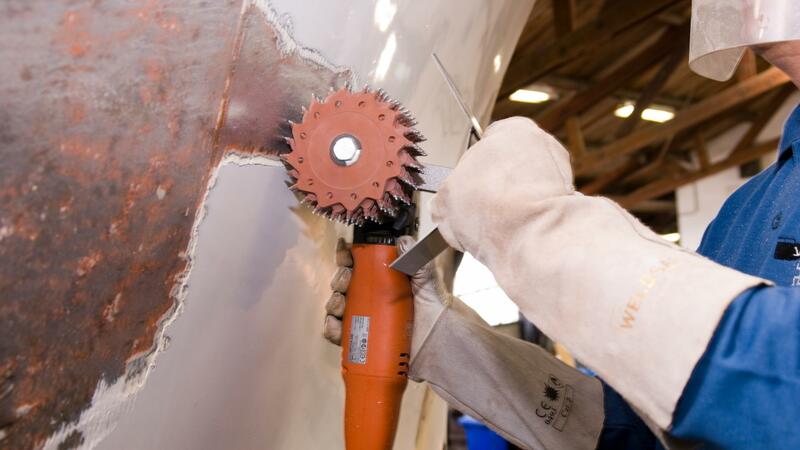 Tercoo® is an excellent tool to deal with rust in bumpers, doors, beams and welds. Tercoo® also removes tectyl.